For many people in Gwinnett County and elsewhere in Georgia, issues regarding divorce, child custody, father's rights, and other family law matters are highly sensitive. In many cases, divorcing spouses will have disagreements about the future of their children, and both of them will feel strongly about protecting their right to shape their children’s upbringing. When it comes to the long-term wellbeing of your family and you, it is crucial to retain an experienced divorce attorney in the Atlanta area. Regina I. Edwards has practiced law in Georgia since 2001 and is committed to practicing exclusively in the area of family law. This allows Edwards Family Law to stay on the cutting edge of procedures, judicial changes, and case law that might affect your situation. We also use a unique flat-fee structure that is friendly to our clients. Before we represent you, you will know the full fee, and there will be no surprises. In order to file a petition for divorce in Georgia, at least one spouse must be a bona fide resident of the state for six months immediately before filing. The petition will need to state the grounds for divorce, which may be no-fault or fault-based. In a no-fault divorce, it is claimed that the marriage is irretrievably broken. Fault-based divorces may be sought for any of 12 different reasons. These reasons include impotency, force, pregnancy of the wife by someone other than the husband, adultery, desertion, habitual intoxication, cruel treatment, and incurable mental illness. When a couple decides to get divorced in Georgia, they may need to consider issues of property division, child support, child custody, and spousal support. In Georgia, courts will divide property between the spouses equitably. Any property that your spouse and you acquired during the marriage is divided fairly during the divorce proceedings, but not necessarily 50-50. Separate property that you acquired before you married remains separate. However, this process is not always straightforward, so it is important to enlist a knowledgeable Atlanta family law lawyer. In some cases, courts will order alimony or spousal support. Whether a judge orders spousal support depends on each spouse's ability to earn income as well as other factors, such as how long the marriage lasted and the standard of living that was established during the marriage. In Georgia, courts look at the best interests of the child to make custody determinations. There are two parts of custody: legal and physical. Legal custody is the right to make important decisions about a child's life, such as where they go to school, which medical care they receive, and their religious observances. Physical custody refers to where a child lives and the nature and scheduling of visitation. Children over the age of 14 are permitted to state a preference about which parent they would prefer to live with them, but the court has the authority to decide in a different way based on its evaluation of the child's best interests. Some parents are able to resolve their custody disagreements through informal discussion, mediation, or a collaborative law approach. Parents are required to submit a parenting plan to the court that accounts for each day, including details about how the child will travel back and forth. The plan may specify which parent is allowed to make decisions about which issues. In some cases, the parents may jointly submit a parenting plan to be approved by the court. Sometimes, however, the parents disagree about the parenting plan, and each parent submits their own proposed parenting plan, allowing the judge to make a determination. We are well known for our advocacy in the area of father's rights. We believe that generally, a father can give their children the same level of care that a mother can. In Georgia, mothers are not presumed to be better parents, nor are they automatically entitled to preferential custody arrangements. When the parents are not married, it is necessary to establish a father's rights related to custody and visitation through a legal action known as legitimation, even if a father is named on a birth certificate. Paternity needs to be established through DNA testing. A judge determining whether a father should have custody or increased visitation will consider many different factors, including each parent's ability to nurture the child, the health of both parents, the parents' respective abilities to give a child food, clothes, and medical care, family relationships, each parent's relationship to the child and involvement in school and activities, each parent's stability or instability, any record of parental abuse or neglect or drug abuse, and any criminal history of either parent. The court will also consider a parent's willingness to encourage a relationship between the child and the other parent when determining with whom a child should primarily live. If you are contemplating divorce or dealing with child custody issues, you should contact Edwards Family Law. We understand how stressful a divorce may be, and we want to reduce the uncertainty and emotional turmoil of the process. 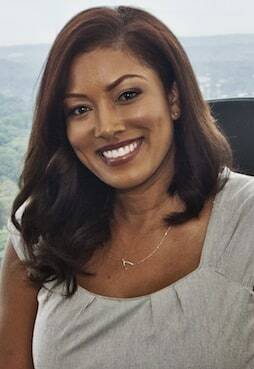 Based in the Atlanta area, knowledgeable family law attorney Regina I. Edwards also represents people in Norcross, Lawrenceville, Duluth, Suwanee, Sugar Hill, Centerville, Lilburn, Snellville, and other Gwinnett County communities. Call us at (770) 854-0777 or use our online form to set up a free consultation with a divorce or child custody attorney. Regina I. Edwards is the Owner and Managing Attorney of Edwards Family Law. Ms. Edwards has been practicing law in Georgia since 2001. Regina attended Tulane University School of Law where she concentrated in family law courses. At Edwards Family Law, we understand that your case is important to you. It is important to us as well. And we are committed to doing everything possible to make sure that your identity is respected and that your dignity is preserved at all times throughout the process.The law prohibits us from guaranteeing the outcome of your case. But, it does not prohibit us from guaranteeing the service you receive. We promise to provide you with the very best in customer service and client relations.We have codified our commitment in our Ten Commandments. If, at any time during your case, we fail to deliver on any of our Ten Commandments, please let us know. We will apologize for our mistake and do what is necessary to fix the problem. Your business is important to us. Thank you for the opportunity to serve you! 1 Our clients are the most important people in our practice. 2 Clients are not an interruption of our work. They are the purpose of it. 3 Clients will not be charged for calls to their attorney. Each client shall receive aggressive representation combined with incomparable guidance and counsel. 4 Our clients are will receive the most courteous and attentive treatment we can give them. 5 Each client will have their telephone call returned within one business day. 6 All of our attorneys shall practice exclusively family law and domestic relations. 7 Our clients are not just a name on a file. We will present each client with an honest assessment of all options that can provide them the best chance of success. 8 Our firm will attend all conferences and Continuing Learning Education Seminars that relate to the practice of Family Law, to ensure that we have access to the most current case law that can affect the lives of you and your family. 9 Our firm will employ the latest technology for use in your case, to include a secure server where the client’s entire paper file is scanned and posted to the server for immediate retrieval by the client. 10 Clients are people who bring us their wants. It is our job to meet those wants.